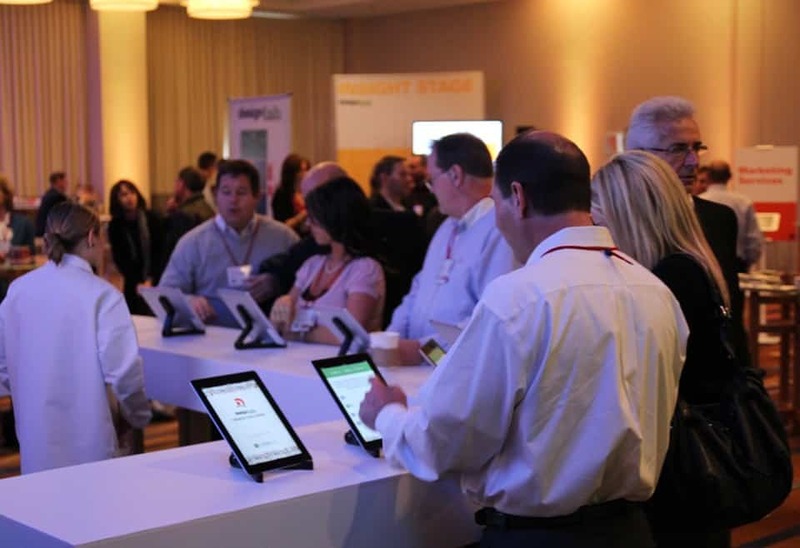 What do you get when you choose a SocialPoint interactive trade show game? More than fits on a single screen! There are actually 4 kinds of digital screens that come with each of our trade show games. 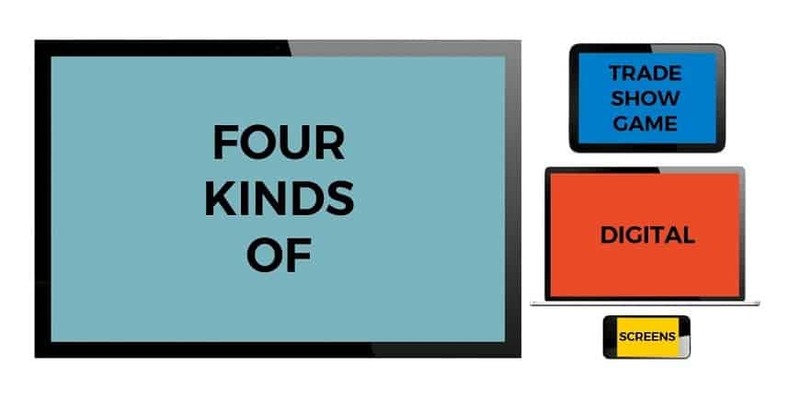 The 4 kinds of screens not only come in different sizes, but also help you achieve different key trade show goals: Attract attendees, engage and capture leads, and measure your results. The big flat screen TV monitors main goal is to attract attendees into your booth. They present intriguing, game-generated content that tells passing attendees that something cool is happening here, and they should check it out. Our games output digital content that display on a large screen of your choice. 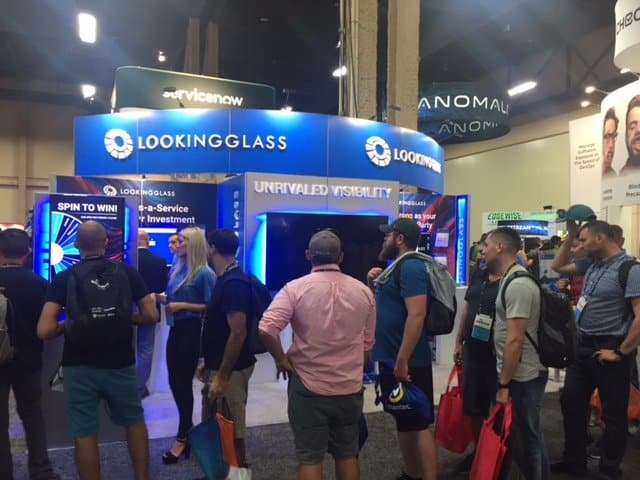 These large screens are attendee-facing and therefore are customizable to your brand assets (logo, type fonts, colors, product images, and backgrounds). Let’s take a look. 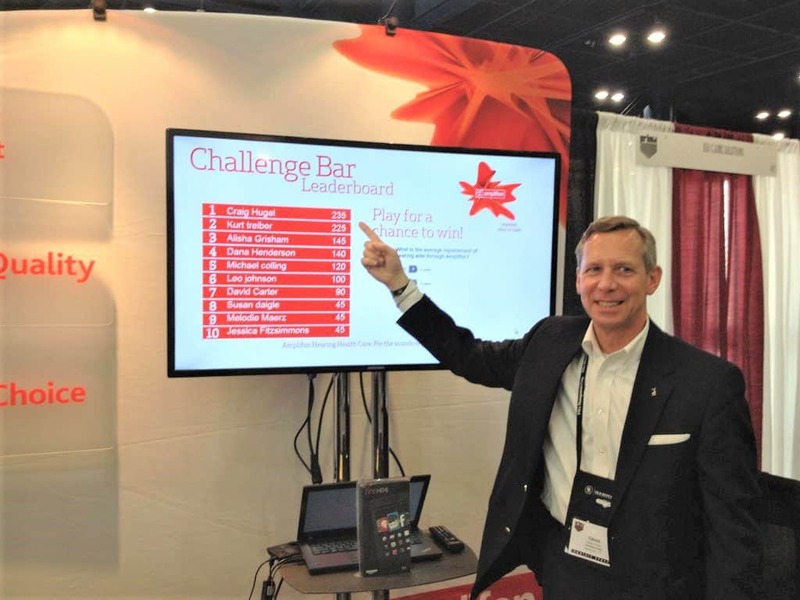 With our Challenge Bar Trivia game, the big screen is a constantly-updated leaderboard showing the top 5, 10, or even 20 scoring game players, often with a photo of the big prize, company brand, or the game theme. 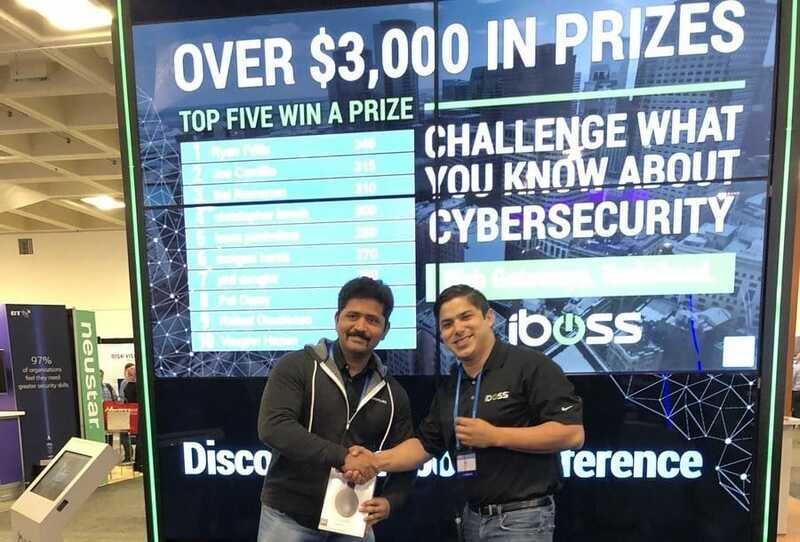 With our Virtual Prize Wheel, the big screen can be the prize wheel itself, listing the variety of prizes attendees can win. This prize wheel also spins when an attendee plays, creating more visual intrigue for passers-by. 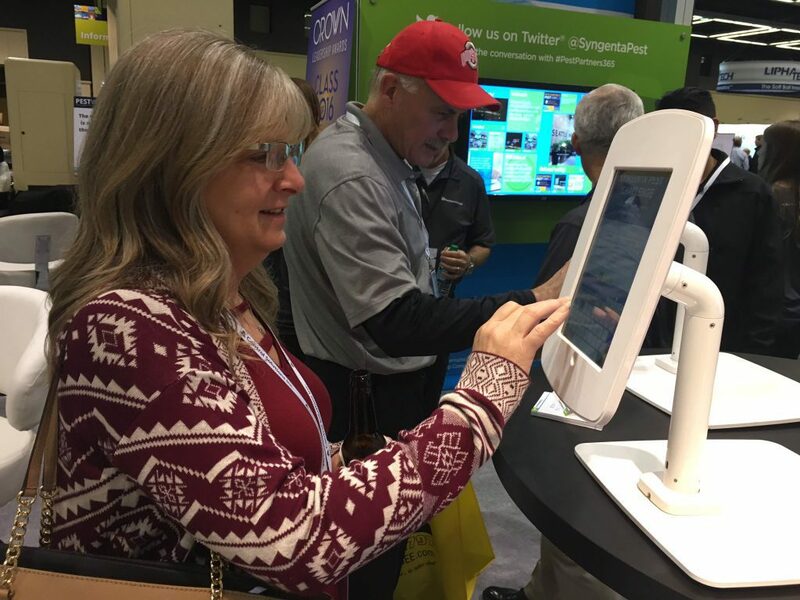 The second kind of screen included with our interactive trade show games is the iPads or tablet computers that game players play on. These touchscreen tablets engage your booth visitors and capture their lead data. These screens can also be customized to match your visual brand elements. Game players can spend from one to many minutes, especially if they return to play trivia repeatedly to get a higher score. We’ve seen clients use as few as one to as many as 9 of these in one booth at a time. This third kind of screen is not seen by the game players, but it available to you as the game host. 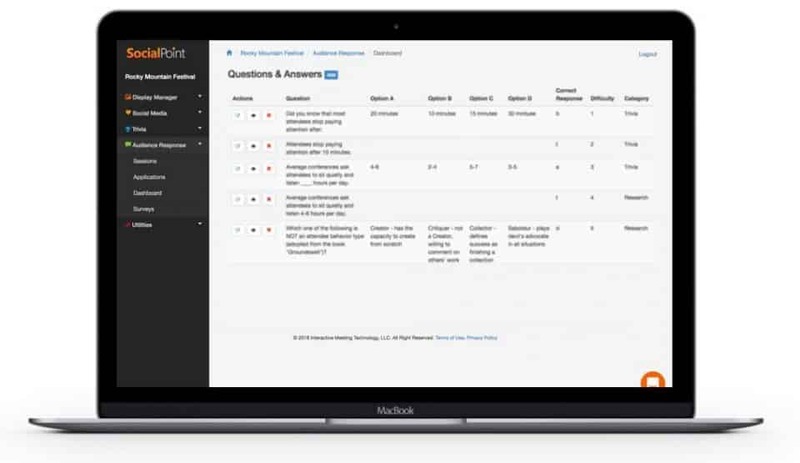 It’s the admin screens that you can use to make easy changes to your game set up and to measure your results. 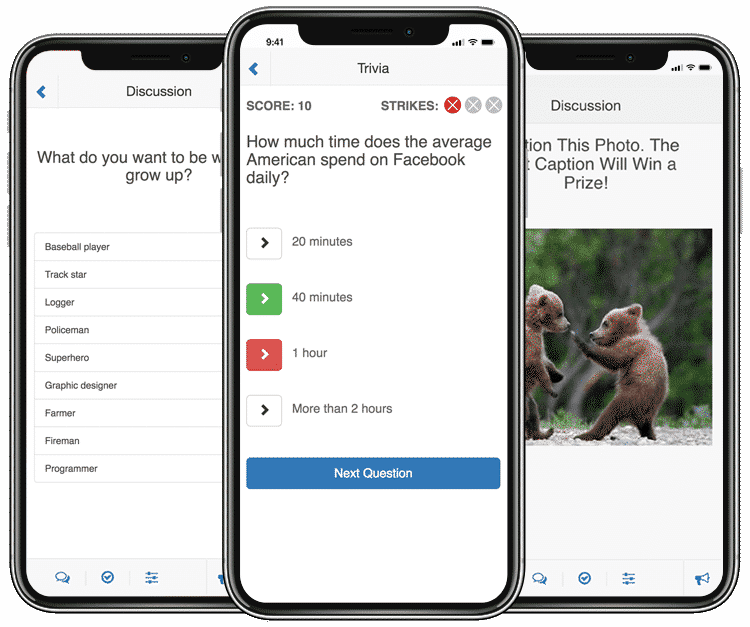 For example, for admin use, you can make on-the-fly changes to trivia questions that players say are too confusing, or change the proportion of times you want a certain Virtual Prize Wheel prize to be awarded. For downloading leads, measuring and reporting results, you can see in graphic and chart form how well your game performed. See even more about our included game analytics here. 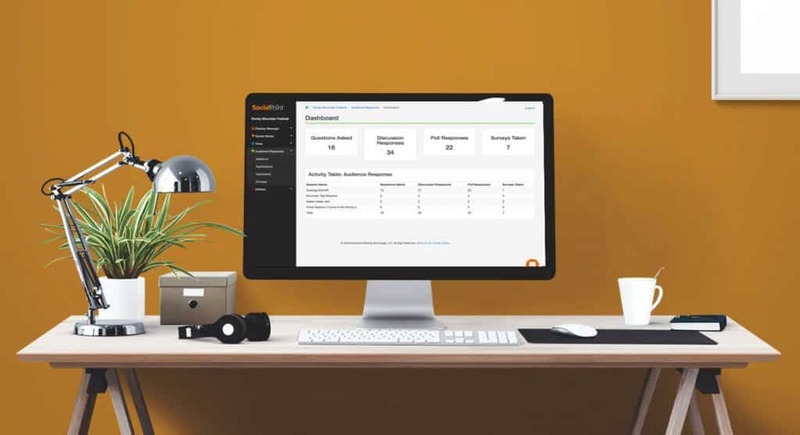 You don’t even have to be at the show to use these kinds of admin screens – you can login to our web-based platform from your office to see how well the show is going. 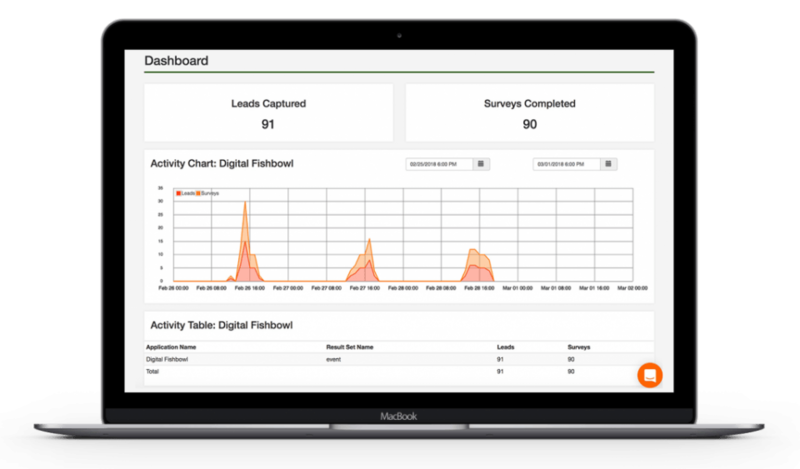 And you can download leads at any point during the show, or once the show is over, without having to be in your physical booth. 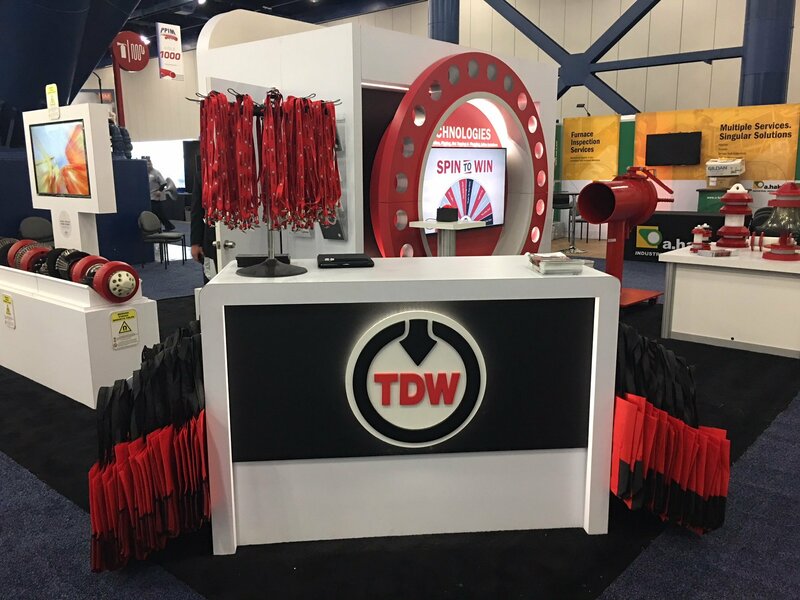 With the addition of our new Attendee Participation Game, now even the smallest screens can become powerful tools for engaging trade show (and event) attendees. 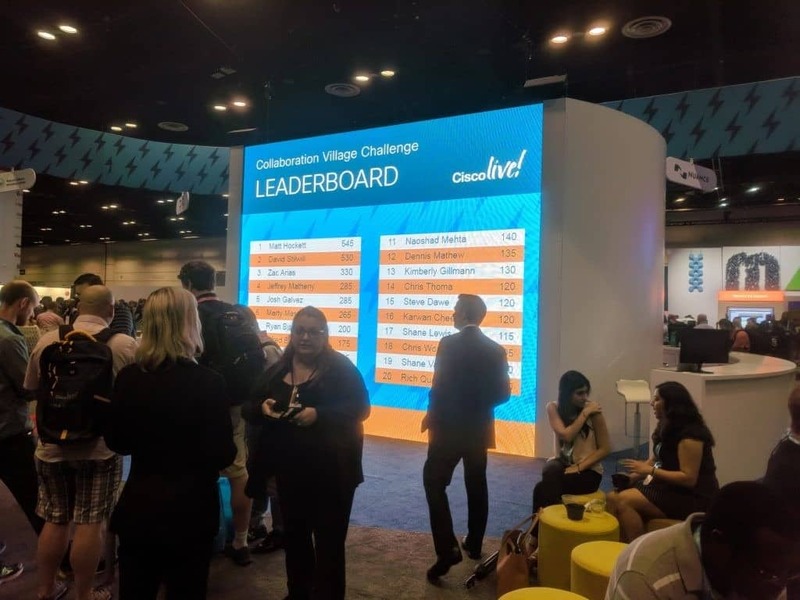 Attendees can use their smartphones to play individual games, and track their overall progress through a series of potential challenges and prize opportunities. 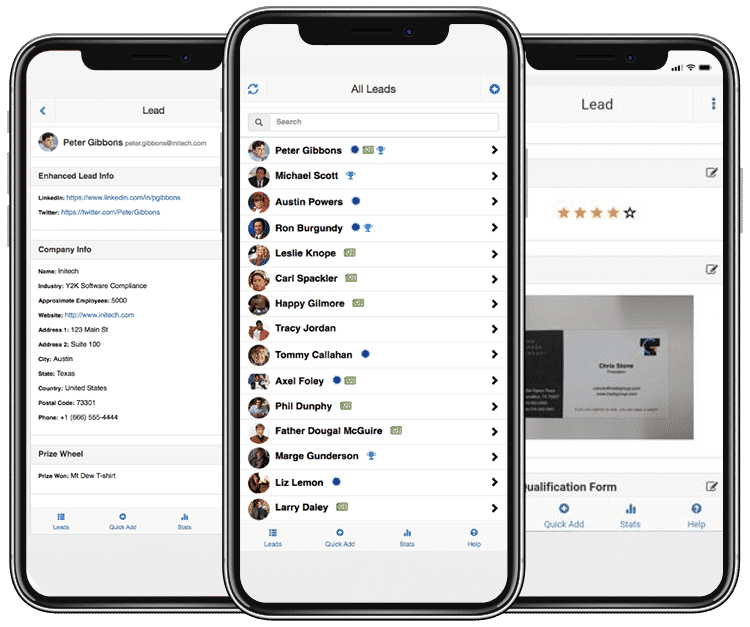 The smartphone screen is also where booth staffers can access our Lead Manager App, which is a free companion app to our trade show games. Booth staffers can see all the info captured about your booth’s game players. They can also add more info to further detail and qualify your trade show leads. This is a great resource at shows where there is no badge scanner, or when you want to avoid paying for one. Because they are all interconnected via the Internet, SocialPoint interactive games and activities have evolved into complex digital products that simultaneously interact on 4 kinds of screens. 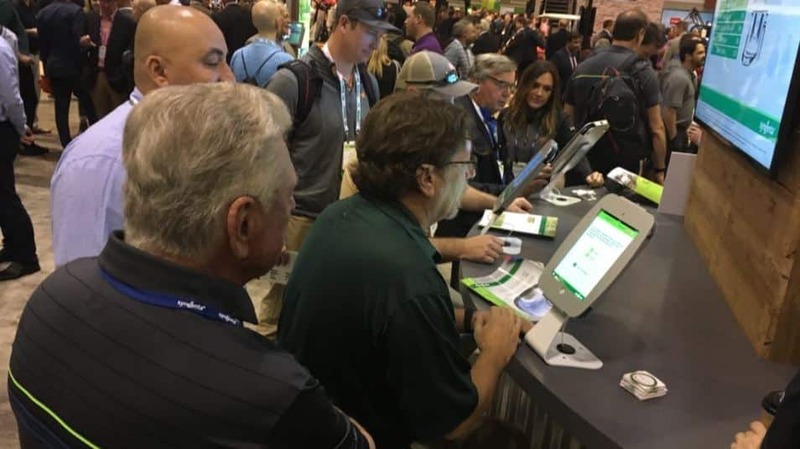 This sophistication gives you large screens to attract more visitors, touchscreen tablets that engage booth visitors and capture their lead data, computer screens to administer games and report on your results, and smartphone screens that engage attendees and provide powerful lead capture tools to your booth staff.